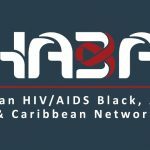 28 November 2018 – The Canadian HIV/AIDS Black, African and Caribbean (CHABAC) Network is hosting community roundtables in Ottawa, Edmonton, Toronto, Calgary and Halifax beginning December 1, 2018 to consult with service providers working with African, Black and Caribbean communities on the development of an African, Caribbean and Black-specific program science model. 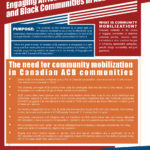 The initiative, is part of a five-year project (2018-2023) carried out in partnership by the Interagency Coalition on AIDS and Development, AIDS Committee of Ottawa, Health Association of African Canadians, HIV Community Link, HIV Edmonton and the African Black Diaspora Global Network. Data shows that African, Caribbean and Black people, whether born in Canada or in so called “endemic countries” are disproportionately impacted by HIV and AIDS. Nationally, African, Caribbean and Black people living with HIV are less likely to know their status, access treatment or be virally supressed and have low levels of awareness of Pre-Exposure Prophylaxis (PrEP). 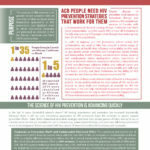 This is due in part to the stigma and discrimination that surround HIV, in addition to the fact that our communities also contend with issues such as anti-Black racism, displacement, poverty, gender-based violence, homophobia, and transphobia that compound and exacerbate the challenge of ending the AIDS epidemic by 2030. Ending AIDS in our communities will require a tailor made solution that speaks directly to these challenges.  Ending AIDS in our communities will require a tailor made solution that speaks directly to these challenges. Using a program science approach allows us to shift away from silos or simply scaling up “magic bullet” single interventions towards really grappling with complexity, while constantly striving to develop new insights and knowledge that can be translated to the design and implementation of future programs. By taking this systematic approach, we can answer the question: “are we doing the right things in the right way?” Making the model specific to African, Caribbean and Black communities centers the importance of cultural appropriateness, anti-oppression and being rooted in the lived experience and contexts of these communities to inform the design, implementation and evaluation of HIV programming and engagement with policymakers. “These consultations will be used as an opportunity to validate the data collected through a targeted national scan conducted in fall. Through these discussions, we will have a better sense of what the key components and objectives of the model should be to start building out the framework”, says Imara Rolston the consultant leading on the development of model. The goal is that once this African, Caribbean and Black-specific program science model is developed, it will be adopted by the project partners in their interventions. And in turn, the project partners will train other non for profit organizations on the model as a way of bolstering our collective impact. For more information on this project, contact the Kataisee Richardson, the CHABAC program coordinator at krichardson@icad-cisd.com.